HERE COMES A GAS SAVING AUTOMATIC WITH HEATED POWER LEATHER SEATS, MOONROOF, ALLOY WHEELS AND MORE. IT LOOKS AND RUNS GREAT. THIS WOULD MAKE A PERFECT 1ST CAR THAT IS PRICED TO SELL FAST! COMPARE TO OTHER PRICES. COME ON DOWN, BRING THE FAMILY. YOU WILL NOT BE DISSAPPOINTED! NO REASONABLE OFFERS WILL BE REFUSED. WE ARE HERE TO BUILD SOME GOOD RELATIONSHIPS AND SELL SOME CARS. MANY FINANCE OPTIONS ARE AVAILABLE. TRADE-IN'S ARE WELCOMED. We price cars to sell here at Stateline Auto Brokers. All cars sold here at Stateline Auto Brokers leave here fully serviced, reconditioned, inspected and warranteed. We offer extended warrantees up to 48 months and unlimited mileage. We have all kinds of finance options for your convenience. And remember, The Prices Were Born Here And Raised Down The Street! 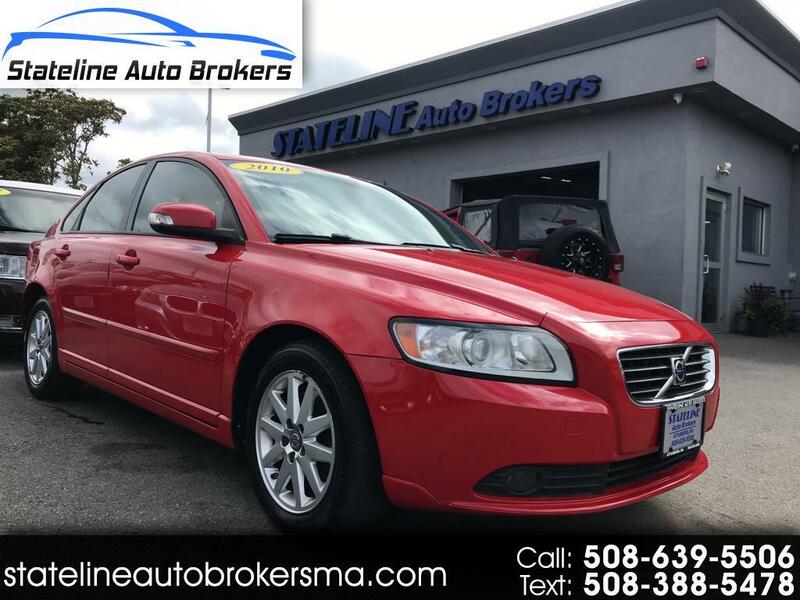 Message: Thought you might be interested in this 2010 Volvo S40.